Football tickets are here for the taking. Our Dolphins and Dallas Cowboys seats are unbeatable. Check out our Colts seats, too. The Miami Dolphins decided to hire Patriots LB and defensive play caller Brian Flores to lead the Dolphins rebuild as the team's 10th full time and 13th head coach. Flores spent his entire career in New England starting out as a scout in 2004, then an assitant coach on the offensive side and special teams. He then moved to the defensive side of the ball coaching in the secondary and linebackers. He was the de-facto defensive coordinator in 2018 and led the Patriots defense to the 7th overall ranking in points allowed in 2018 (and a terrific game in the Superbowl). Almost all of the assistant coaches will change in 2019, a rebuild year. The Dolphins hired former Lions and Colts head coach Jim Caldwell as assistant head coach. The Dolphins will have two young first time coordinators in Chad O'Shea (offense) and Patrick Graham (defense). O'Shea coached the Patriots wide receivers and Graham was the Green bay linebackers coach (before that he coached at New England). Danny Crossman will be the special teams coordinator. Former Dolphins coach Adam Gase is now the head coach of the NT Jets. It's been exactly 29 years to the day since the Dolphins selected a QB in the first round. In 1983 it was hall of fame QB Dan Marino. 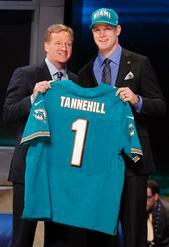 In 2012 it was Texas A&M star Ryan Tannehill. The Dolphins made the 6'4' Texas A&M QB the third QB taked in the 2012 draft and the first first round QB taken by the Dolphins since Marino. Tannehill played WR in his first two years in college and then switched back to QB. He started just 19 games at the position. Having played WR (he led the team in receptions) he is very athletic and runs the 40 in 4.6. He played under now Miami offensive coordinator Mike Sherman, that familiarity by Sherman certainly helped the Dolphins in the vetting process. Most so called experts think that Tannehill needs time to develop and even if that's the case the Dolphins have other options for this year. We at dolphinsinfo.com have tried to make something different and that's why we have put the emphasis on Dolphins' stats and any information on the Dolphins. Especially the kind of info you won't find anywhere else. 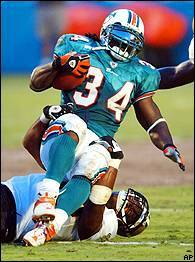 dolphinsinfo.com features recaps on all the Dolphin games and all you will ever need to know about the Dolphins. You can also find in our site, past and present rosters, Dolphins records, Dolphin facts, news about the the team, photos of team members in the past and present, season summaries, schedules, links to other Dolphin sites, all the info about great games that team members have had in the past and a Mega Marino area with all the stats from every game he has ever played in. dolphinsinfo.com now features all the stats from every year the Dolphins played along with all the scores from the first game in 1966 till the last one. See the stats page. dolphinsinfo.com also includes all the Marino stats from every game Marino ever played in from the first pass in college to the statement released by President Clinton when Danny retired. See the Marino section. 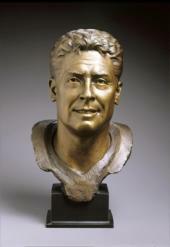 Above, Dan Marino's bust in Pro Football's Hall of fame. 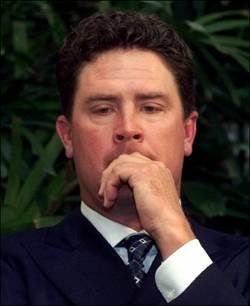 At the bottom, Marino receives his hall of fame gold jacket Dolphins' legendary quarterback and the most prolific passer in NFL history, Dan Marino, is now a hall of fame quarterback. Marino, considered by many the greatest quarterback ever, has been elected to pro football's shrine in his first year of elegibility. Marino is the owner of more than 20 NFL passing records including most TDs (420), most passing yards (61,361), most completions (4,967), most attempts (8,358), most games 300 yards passing (63), most games 400 yards passing (13), most games with 4 or more TDs (21) and most yards in a season (5,084). There are 229 members in the hall of fame, less than a quarter of them were elected in their first year of elegibility. 49ers coach and hall of famer, Bill Walsh, who coached both Steve Young and Joe Montana, said "we will never see anyone like him again". Marino was (and still is) the only rookie ever elected to the probowl. He was elected the starter... It was the first of his 9 pro bowl selections. His second year was the best season by a quarterback ever and perhaps the best year by any player ever, throwing for 362 completions on 564 attempts for 5,084 yards and 48 TDs. All of them were NFL records. The yardage mark is still a record. The TDs record was broken in 2004 after the rule changes made passing easier. Before 2004 the only player that ever came close to the TD record was Dan himself when he threw 44 in 1986. Thousands of Dolphins fans made the pilgrimage to Canton, Ohio. To a long standing ovation Marino was introduced by his son Danno. The presentation speech by Dan's son was one of the most memorables and emotional presenting speeches in years as he talked about his Dad's private life and his relationship with the Florida community. He mentioned Dan Marino's children's hospital founded by Marino and the Dan Marino foundation. Marino had a memorable and emotional speech. Marino thanked his fellow players and coaches through the years, his high school and college coaches. He called Don Shula the best coach ever. He thanked the Marks Brothers - Mark Clayton and Mark Duper and center Dwight Stephenson. He said the thing he misses the most is going out of the tunnel as the starting QB of the Miami Dolphins. After thanking his family, he wanted to do one thing one last time. Marino completed 538 balls to Mark Clayton and he wanted to do it one more time. Marino licked his fingers as he did for 17 seasons in Miami, his son gave him a football as Mark Clayton went deep one last time Marino finished his speech with a perfect deep spiral caught by Clayton for the last time. The story of the best quarterback ever is now complete - Dan Marino, Hall of Fame Quarterback. "After 17 years I would like to announce my retirement from the Miami Dolphins. After playing the game of football most of my life, this was an extremely difficult decision. But I know that I had made the right decision for me and my family. I am very proud of the success that we have had as a team for 17 years, as well as all my individual accomplishments. Not many people have an opportunity to spend 17 years of their life doing what they truly love to do. And as I stand here before you today, I can say that I had been blessed with a career greater than I could have ever imagined..."
For the full speech go to our Dan Marino section with every stat from every game Marino ever played in. for all your dolphins action. dolphinsinfo.com wishes to thank a great Dolphins site named miamidolphins.co.uk for their help in some of the new dolphinsinfo.com design and color codes. A visit to miamidolphins.co.uk is highly recommended.